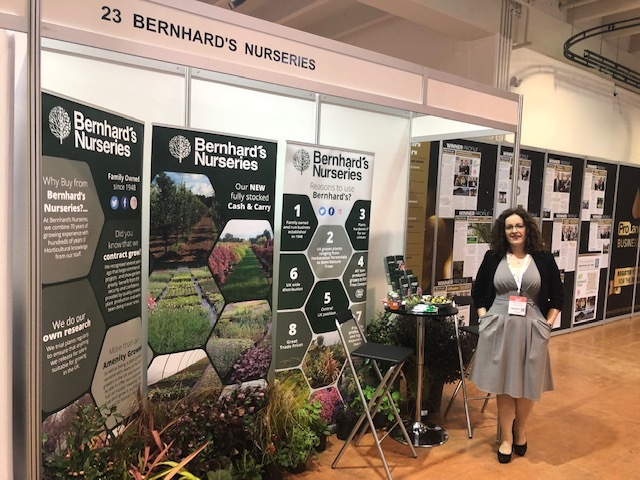 Following two very successful Futurescape Show events, Rugby based Bernhard’s Nurseries have committed to further support of this show during 2019 and 2020. As well as exhibiting at the events, Southern Sales Manager Lewis Normand, spoke at the Futurescape Spring show and will be talking again at Futurescape in Northampton (12th April). As well as a commitment to exhibiting at professional events, Bernhard’s has once again increased production for Show Gardens and contract growing for a number of private and commercial projects across the UK. 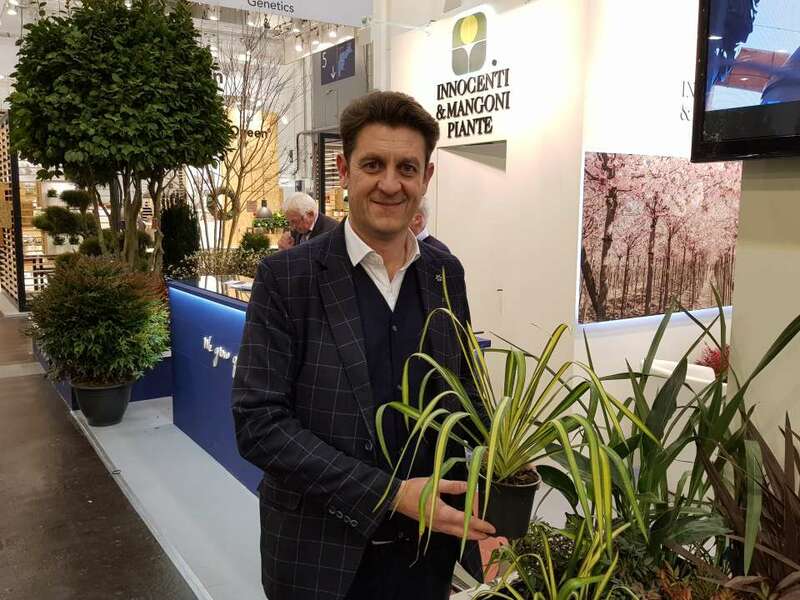 With 22 show gardens already in production for 2019 and an appetite to take on more, the team at Bernhard’s are excited about the challenges in producing for these shows. 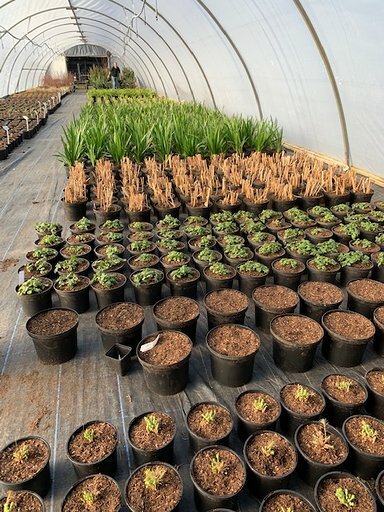 To accommodate increased production, General Manager John Marsden is expanding the nursery resource with new covered production facilities, a new potting machine and additional staff. 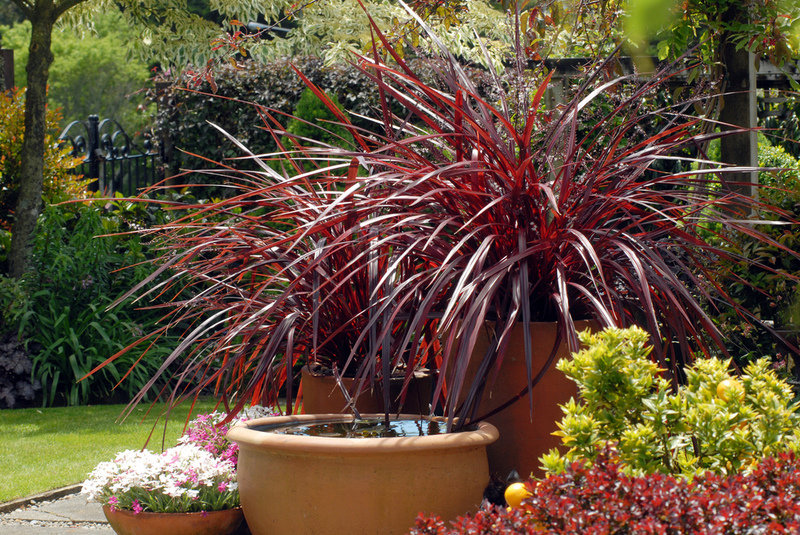 Bernhard’s are providing plants for Andrew Duff’s David Harber Savill’s Garden, as well as Paul Hervey-Brookes’ Viking Cruises Garden for RHS Chelsea. This will be followed by four gardens and a number of Long Borders in production for RHS Chatsworth. 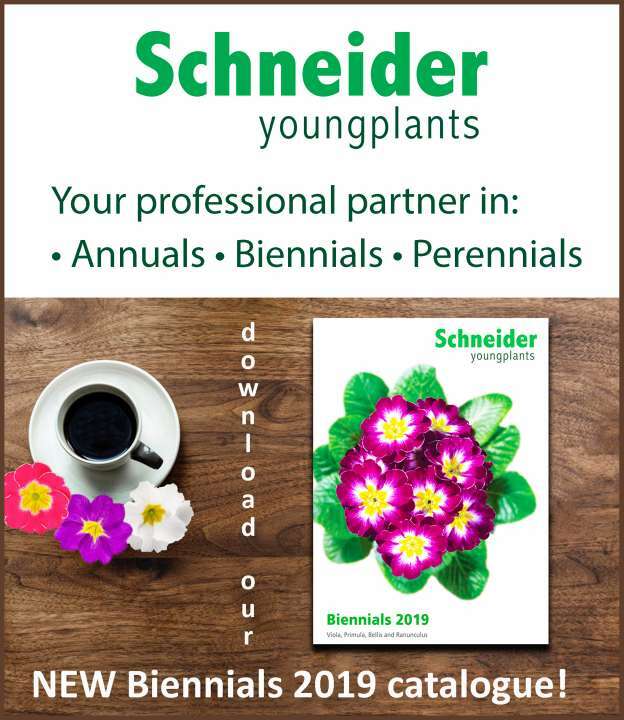 Welcome to the exciting news platform for the Professional Plant sector. 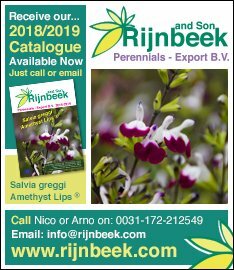 Now well into our 6th Year, we are regarded as THE trade website for all the latest news from Growers, Nurseries, Breeders and trade events around the globe (plus product manufacturers). Our news is FREE to access! 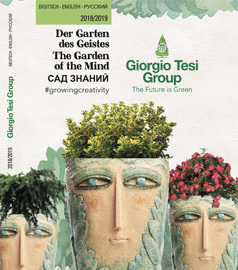 The Garden Retail and Book Review pages have enhanced the coverage we offer and have contributed to a significant rise in 'page views'. China on a Growth Course! 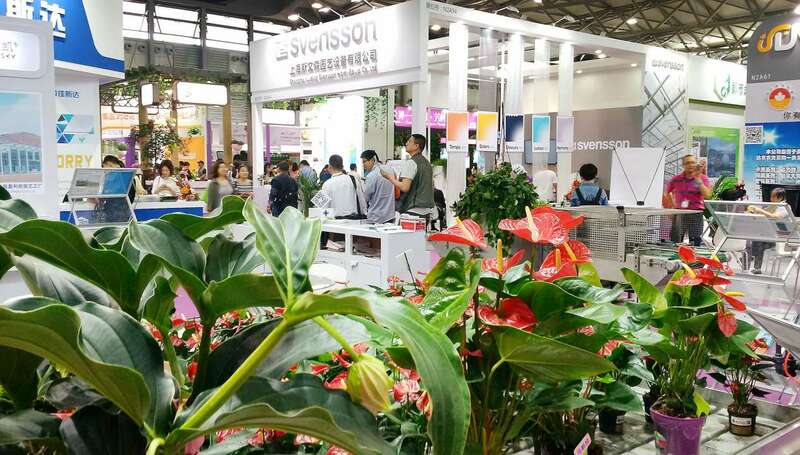 This Saturday, (April 20), China's largest horticultural fair, Hortiflorexpo IPM Shanghai, will open for business. 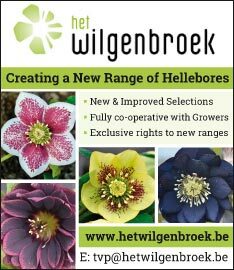 The trade will discover novelties and innovations from the Plants, Horticultural Technology, Floristry and Garden Feature areas. Visitors will also gain a complete overview of new products and trends. 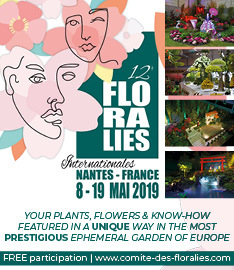 The International Floralies held in Nantes, is a major worldwide plant and ornamental event that takes place only every 5 years. First held in 1956, the 12th edition takes place in three weeks time, from May 8 to 19. 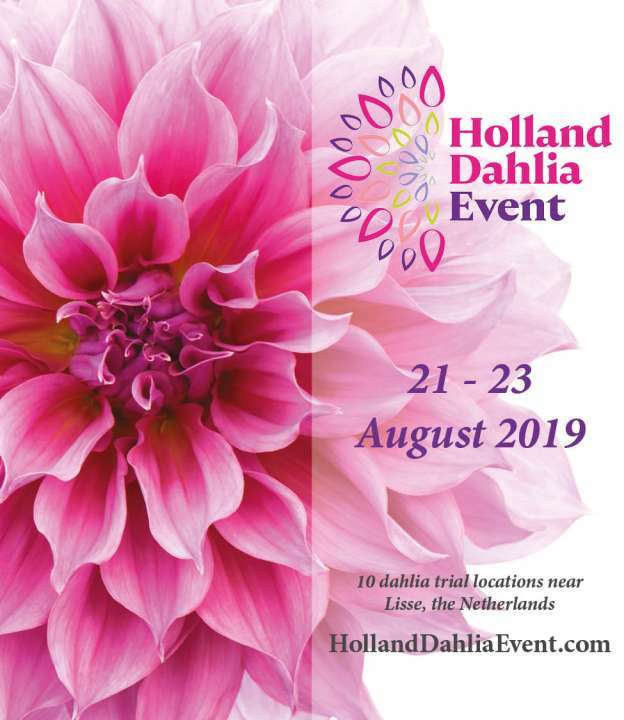 'Flowers to Live' is the chosen theme to launch the 2019 event. 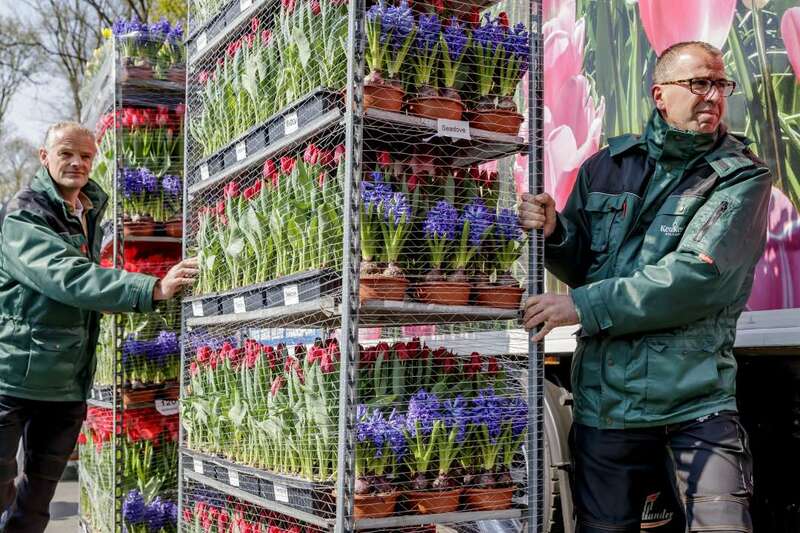 Following months of preparation, the transportation of 'Flowers for St. Peter's Square in Rome', has left Keukenhof for Italy. The Dutch floricultural sector has been responsible for this decoration of the Easter celebration in St. Peter's Square in Rome for over 30 years. Chief flower arranger Paul Deckers has travelled to Rome with dozens of Dutch flower growers to arrange this display inside two days. 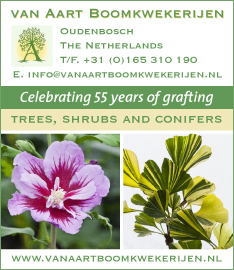 The weekly series of Groen-Direkt plant fairs continues in Hazerswoude-Dorp, Holland. 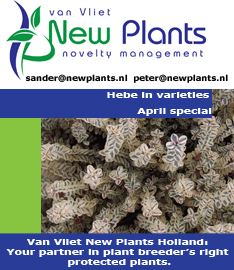 Held each Tuesday, this provides a complete survey of what plant material is available for the spring season and beyond. The event will host its Autumn Fair from August 21-23. With spring in full bloom, the garden preparations for Spoga+gafa in September are proceeding at full speed. 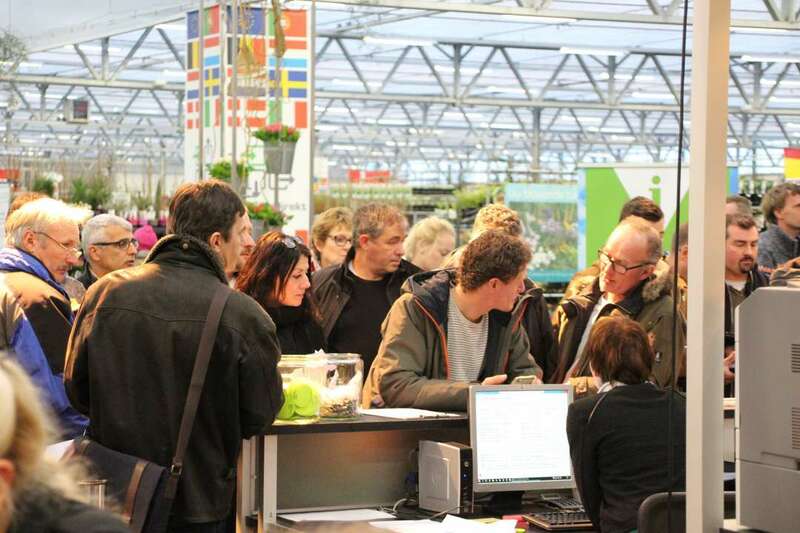 The biggest Garden Trade Fair in the world has registered excellent application figures at the since the start of 2019. 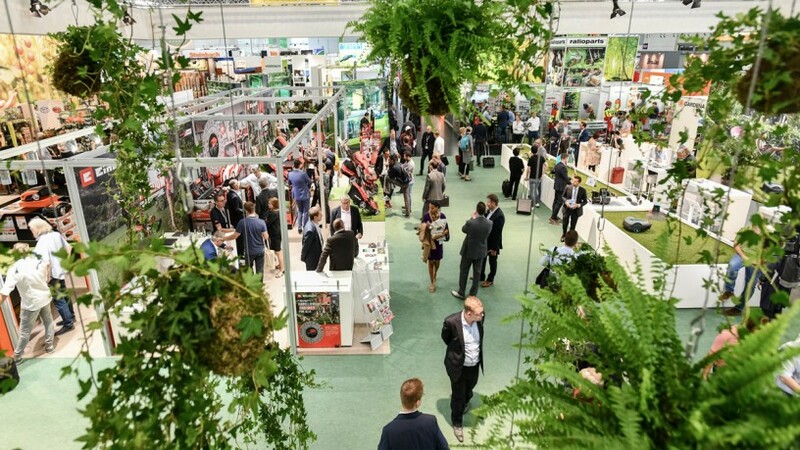 The trade fair is already showing a 3% growth in exhibitor numbers in comparison to the 2018. 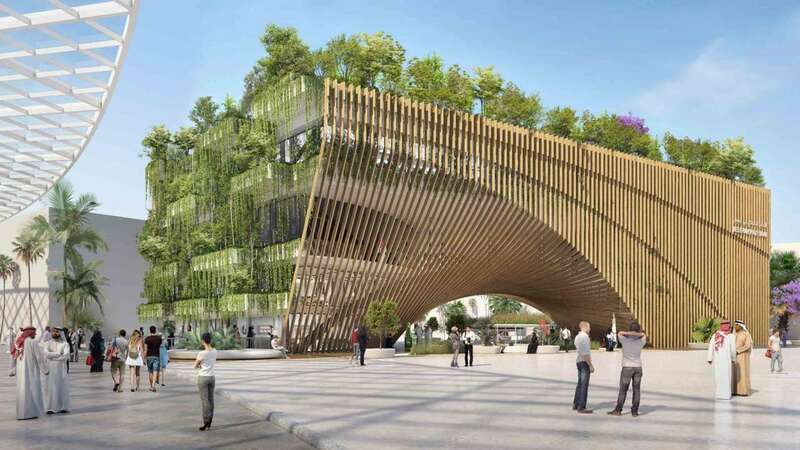 Belgium's 'Green Ark' Set for Expo 2020! October 22nd 2020 should already be in your diary! This will mark the opening of Expo 2020 in Dubai which will run for 6 months into 2021. There will be a series of pavilions representing a huge number of countries from around the globe. The Belgian 'Green Ark' pavilion includes a host of sustainable innovations and will include 10,000 plants. 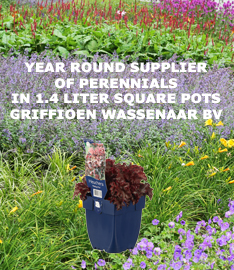 Planteria made its first visit to 'For Garden' last month. 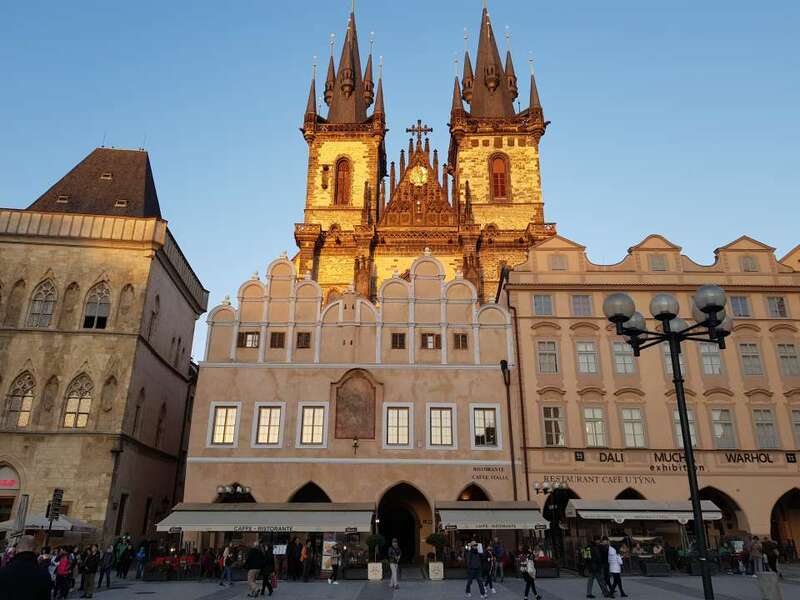 This provided an exclusive insight into this annual trade fair, held in Prague. Try to imagine Interior Design, Outdoor Living, Landscape Architecture and Plantscape all under one roof. 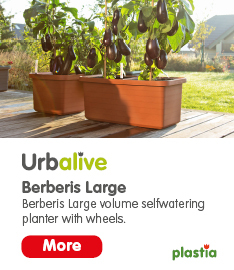 'For Garden' is precisely this. 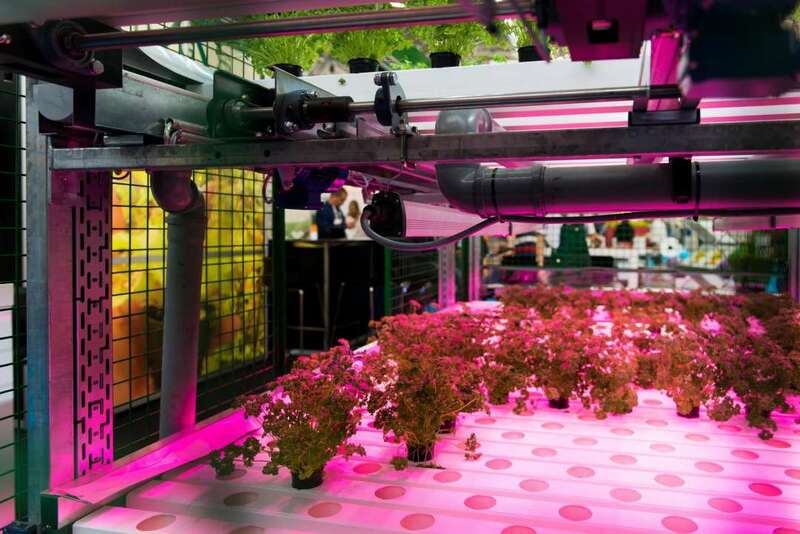 GreenTech will open its doors for the fourth time at the RAI Amsterdam Convention Centre from 11th - 13th June. The theme of the 2019 Summit will be ‘Autonomous Technology' – a formula to accelerate business, professional horticulture 'beyond the green thumb’. 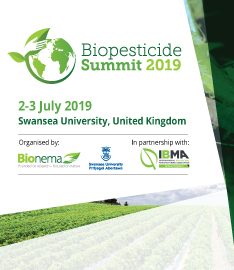 Bionema Limited and Swansea University will host the inaugural Biopesticide Summit and exhibition in Swansea University, United Kingdom on July 2/3 2019. This will address the pressing need to develop alternatives to chemical crop protection. The Future Looks Good for Bernhards! The Urbalive Worm Farm is a container designed for the domestic composting of kitchen waste using earthworms. Leading Czech Architect and Designer Professor Jiří Pelcl developed this for Czech based manufacturer Plastia. Following the Red Dot award that the Urbalive Vermicomposter received in 2017, it has now landed the American Good Design Award. 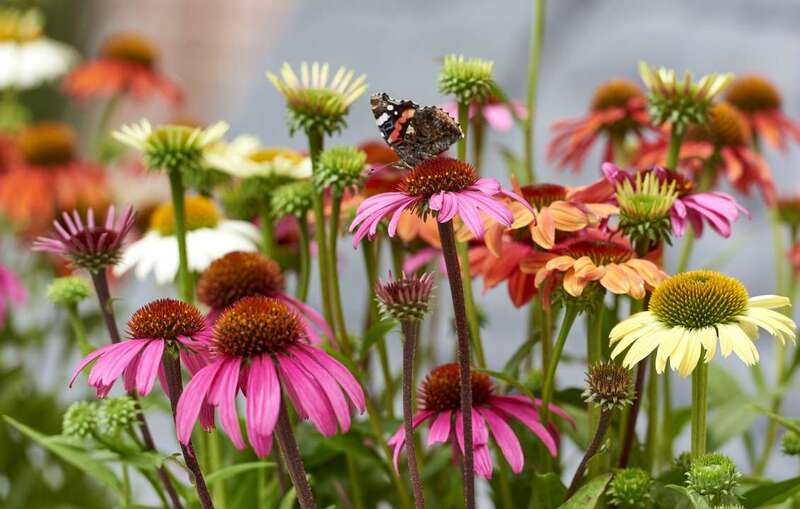 The Plant Pyramid returns to the Floral Marquee at BBC Gardeners’ World Live in June, with four new satellite pyramids. The Pyramids will play host to a monumental display of up to four thousand plants, all new introductions for either 2018 or 2019. Blooming Times for Maryam Flora! London based Maryam Flora supply some of the most popular flowers including Tuberose, Anthurium Rose and Alstroemeria. 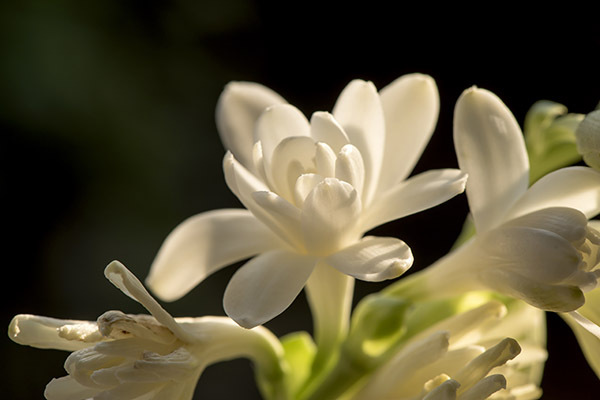 They report a major growth surge in less than a year of trading in the U.K.
Maryam Flora have the potential to export from Iran, up to 50,000 stems of Tuberose, 30,000 stems of Anthurium and 10,000 stems of Alstroemeria per month, with guaranteed freshness, delivered to your chosen location within the UK. 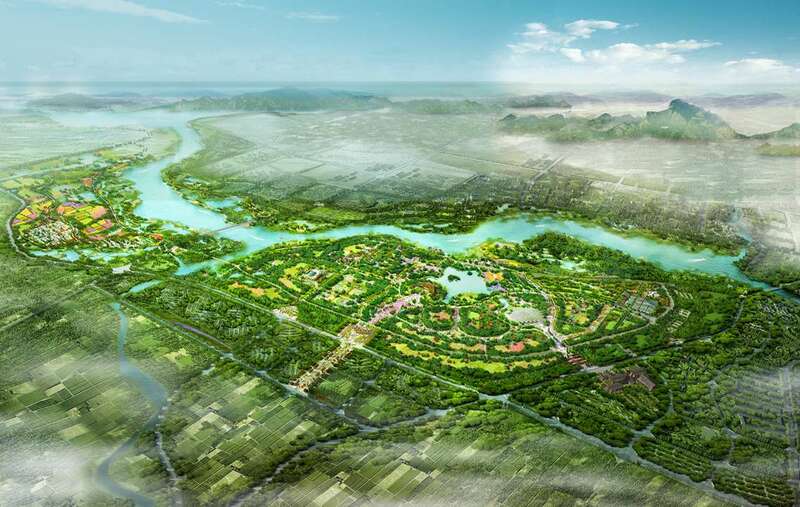 The International Association of Horticultural Producers (AIPH) will demonstrate and promote Green City principles through an AIPH garden at ‘Expo 2019 Beijing’. The garden, entitled “The Rewilding Garden”, has been designed for the AIPH approved world horticultural event by UK and Singapore based Landscape Architects Grant Associates. 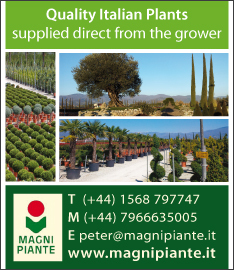 Innocenti & Mangoni Piante have a new 36 page brochure. 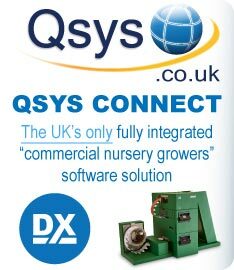 This has been well received in the trade, at both IPM Essen and Myplant & Garden in Milan. 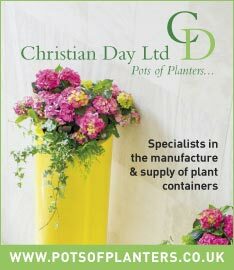 They will have a presence later this year at the Four Oaks Trade Show in September. 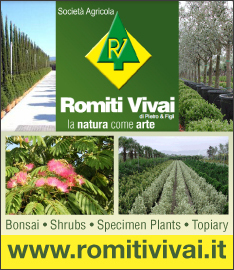 Here they will promote 'young plants' as an extension to their established specimen plants. 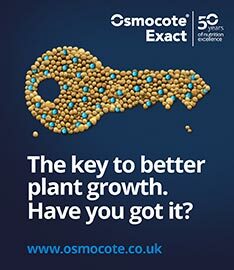 Desch Plantpak continue to expand their complete range of eco-friendly products, each of which responds to demands from retailers and consumers. 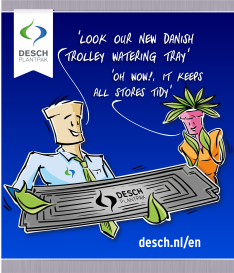 Recover is Desch Plantpak's answer to the requirement for better separation of plastic products during waste processing. 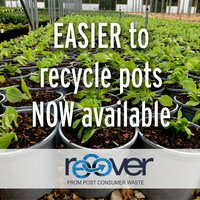 Recover products destined for Germany have a striking blue colour, while those for the English market are in a distinctive taupe grey.